This Easter Day service of Choral Evensong is probably the church's most important day of the year. Easter Day is a triumphant expression of joy at Christ�s rising from the dead. 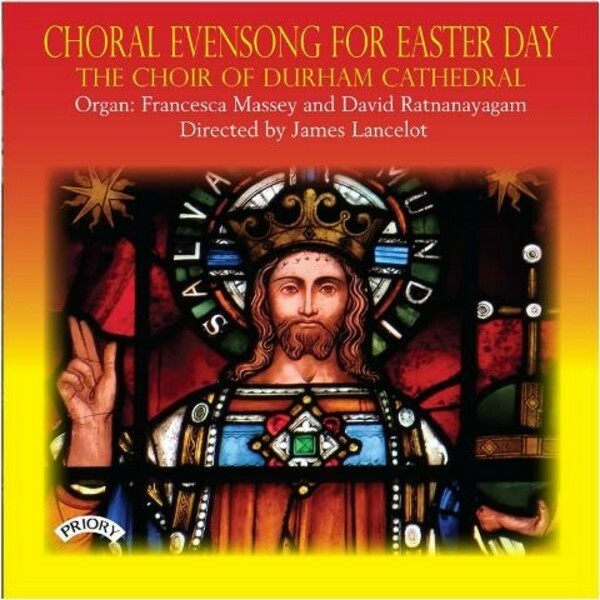 Included here is John Casken�s settings of the Magnificat and Nunc Dimittis and the Introit � a commission by Durham Cathedral - is Michael Berkeley�s setting 'First the sun then the shadow'. Psalm 105 is sung to various chants and Anthem is the well known setting by S S Wesley of Blessed be the God and Father. This is one of a series of many choir recordings made by Priory of the Durham Cathedral Choir, stretching back nearly 30 years.